The easiest and cheapest way to get on the internet here in Nantes. Avoid the frustration of hotel WiFi that is slow and often doesn't work, forget about loosing your contacts and the limits of a French sim card: you own a personal and password protected unit, with unlimited and shareable data. Ideal if you're spending a week-end in Nantes, the essential pass gives you the keys to explore the city. 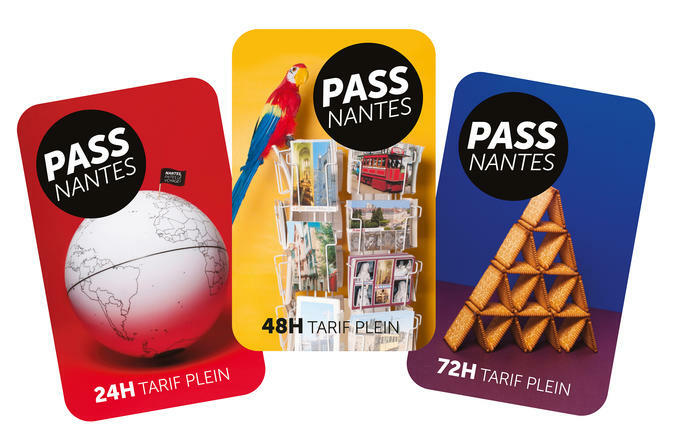 Convenient, flexible and easy to use, the Nantes Pass offers you the best value from the very best of Nantes! Unlimited transportation, free access to chateaux, museums and cultural attractions, tours and rivers cruises.